4A Games releases the Artyom’s Nightmare cinematic trailer for Metro Exodus which will be released on February 15, 2019. 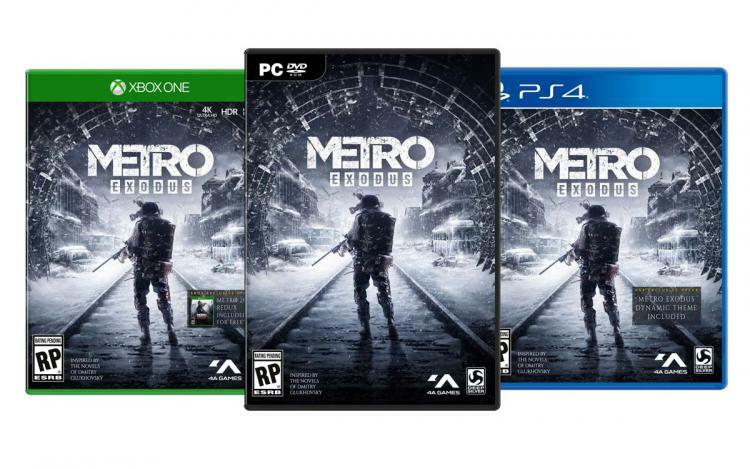 Metro Exodus is one of the most awaited titles of 2019 and is recently in the limelight for selecting the Epic Games store as its exclusive distributor of digital copies. The cinematic trailer teases the game’s story and setting in a post-apocalyptic world. Artyom’s Nightmare brings the haunting world of Metro to life as never seen before. Watch the cinematic trailer below. Metro Exodus will be released on February 15, 2019. Pre-orders are now available for Windows PC digital copies at the Epic Games store, $49.99USD for the Standard Edition and $54.99USD for the Gold Edition. Xbox One digital copies are available at the Microsoft Store and PS4 digital copies are available at the PlayStation Store. Learn more about Metro Exodus here.